The Vehicle Inspection Office, VIO in the Federal Capital Territory is making a kill. On Wednesday, September 5th, the agency said that it generated over 1 billion naira as revenue between January and June 2018. The agency’s Public Relations Officer, Mr Kalu Emetu, told the News Agency of Nigeria in Abuja that the revenue generated in the period was 178 million naira over what was realised in 2017. NAN reports that 1. 05-billion-naira revenue was generated between January and June 2017, while 1.23 billion revenue was realised in the same period in 2018. While this is cheering news to the government, it isn’t so with Abuja residents who are lamenting highhandedness of the agency in their revenue generation drive. Also Read: Enugu Police Explains Its Quarrel With Keke Operators. In fact, the residents of the FCT have condemned the VIO over the manner it often carries out arrests and impoundes vehicles, thereby relating the revenue generated by the agency to the money retrieved from impounded vehicle owners. 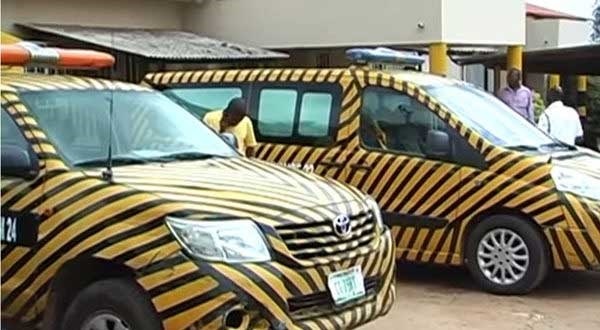 Mr Dauda Ibrahim, an Abuja based taxi driver, alleged that the VIO officials often laid siege at various points in the city to arrest vehicles thereby causing accidents. He added that some of the officers were in the habit of extorting money from motorists, adding that such conducts negated the ethics of VIO and must be stopped forthwith. Another driver, Mr Ebuka Eke, said that the money collected by VIO officers after impounding vehicles for road traffic infractions was too much, noting that the agency needed to look into a transparent operating method. Reacting, Emetu said that the allegations were erroneous and unfounded. “The increase in revenue generation is because of creative leadership and greater awareness on the part of the public who understand that registration and renewal of vehicle particulars are part of their obligations as citizens. “Impounding or seizure of vehicles does not make up to 10 per cent of the agency’s revenue,” he said.